Tony has been in the hairdressing industry for 12+ years now in so many different capacities from high end ladies salons to shopping centre salons and barbers, photographic hair-styling, runway and fashion show hair-styling to educating staff and apprentices. A stickler for a good scotch and a better haircut! Advanced cutting both structurally and creatively has been a big part of his work for many years and will continue to be his focus. Tony is someone who will research endlessly on technique and concepts both domestic in nature and abroad, whats hot in Japan, Europe & US and how can we take these concepts and apply to the Australia market. Being Italian in background passion is something that is en-grained into his nature and personality and this shines through in his work from the way he describes what is being done to your hair, what needs to be done or what he has done to the way he holds and uses a cutthroat. Everything that he does is with 100% passion and attention to detail that is paramount to Tony. His personal clients are his. 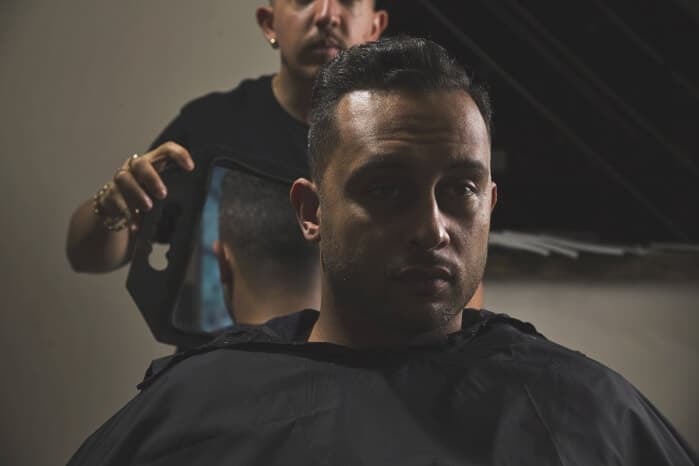 Consistency is the key to great haircuts every time, honesty is also a good trait, if what you ask for isn’t going to look good he’s going to let you know and advise of something that’s going to make you look your best! 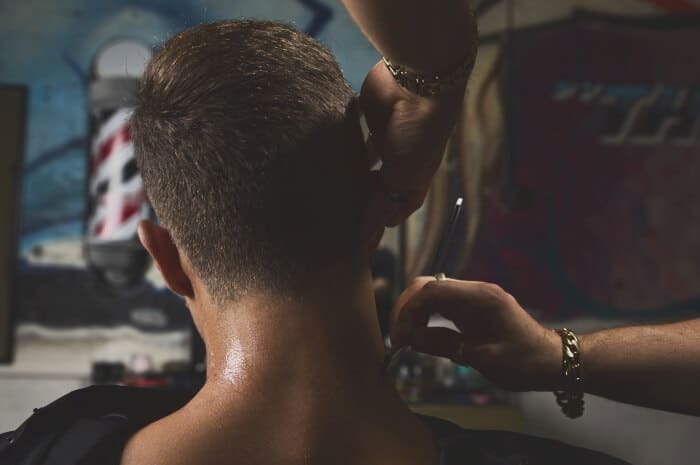 has been a long time in the making, searching for almost 12 months Tony stumbled across an ad by the Smoked Garage Motorcycles team, someone skilled and passionate about barbering to create a masculine concept space. A hangout for lads from all walks of life who can come in and leave looking like rockstars! Continuing to grow and establish the brand further Tony sought to settle into a new home at the Coorparoo Square Precinct. A Bustling new suburban haven for food, coffee and of course Tony’s Chopshop Barbershop! 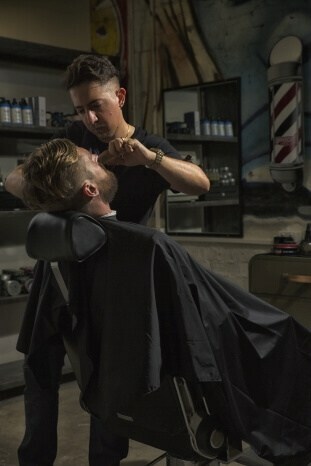 Our space is one where light hearted banter and deep conversations can happen within minutes of each other, a place where you can vent as well as get a cut. 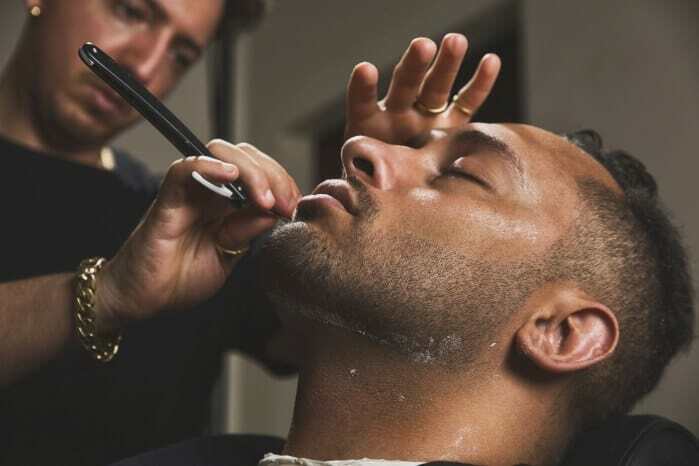 A barbershop used to be a place for men to hang out discuss anything and everything your barber in a consultant not just in hair and fashion but in all aspects of life. Tony has put alot of thought into the “sprezzatura” styled concept that has become the Chopshop. 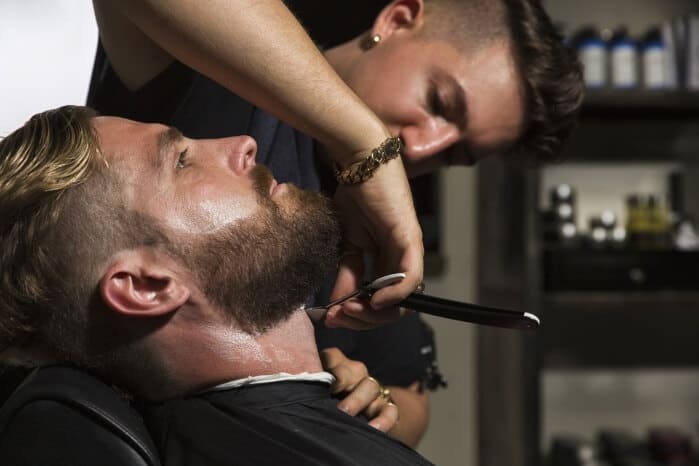 Products have been hand picked by Tony to fill every niche of styling for hair and beard, all products are water soluble to ensure to leave no residue on hair and scalp. Tony has strived to create a space for anyone to be comfortable and relaxed in,of course the ever present bottle of scotch on offer can also help relax you as well. Great chats greater haircuts and some amazing scenery with and ever changing landscape of bikes a one of a kind concept in Australia we hope to see you soon and on the regular!